Reiki, Aikido and Zen 2. 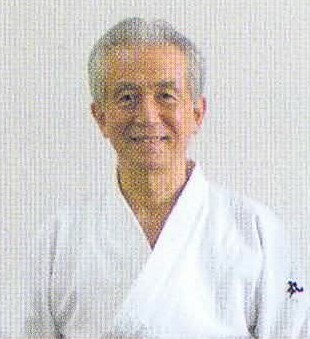 The second presentation of the Gendai Reiki Network International 2012 in Kyoto was given by Koretoshi Maruyama, on the subject of Aikido. Aikido is a martial art that teaches its students to appreciate the life in the other person. Mr Maruyama told us that the three disciplines (Reiki, Aikido and Zen) have ‘ki’ in common, they all refer to the same energy. Ki is energy or vibration, and is the path of love and harmony. Its practical application is that if you want there to be peace in the world, you must work to eliminate inharmonious feelings in yourself. Ki is energy, or kami (divinity, or spirit). The kanji for kami shows an altar and God coming to earth, so Japanese people have always known of the effect of God on us on the earth. Shinto (the native philosophy of Japan) teaches that kami resides in each one of us. Your forehead receives the energy from universe; your heart tanden is the centre point of your life, your kami lives here; the energy resides in your tanden. Connect all 3 to find your stable centre by concentrating on your tanden and calming your mind. You can read your favourite book and that energy enters your upper tanden, your forehead, however if there is a lot of noise around you, that also enters. You therefore need to concentrate on your navel tanden to achieve balance and harmony. We have seen the images from Dr Chiaki Kudo (see the separate post on EEG and Reiki). The blue on the images shows a calm mind, we should aim to maintain a blue brain always. Stabilise your mind and body to maintain your serene state. This is your training, just as the training of the Samuri was to keep this serene and calm mind always. I always practice Reiki to keep my mind calm. When facing an opponent it is necessary to smile, and be peaceful and joyful. I urge you to keep your joyful mind as your individual practice brings light into the world. In Japan we believe in the concept of Kotodama – every uttered word is a mantra – so always endeavour to use positive words. As humans, we forget to be appreciative, and we are always complaining. Feel joyful every morning, every day – to be alive this moment, that is divine doing. Say to yourself, ‘I am happy, I am fortunate, I am lucky’, language contains energy – even if you don’t feel it, saying the words attracts the energy. When you speak, carefully choose positive words, and raise the corners of your mouth. Vibrations are all around us, we are receivers and transmitters at the same time. Resonate only with positive energy as maintaining your happy, tranquil, positive state of mind helps. Reiki takes the least effort of all healing modalities. You don’t aim to heal people, but aid them to find the way of healing in their own life. Have a clear intention of your goal when healing – it is to reach a state of love and harmony, to restore love and harmony within. Become a clear channel for Reiki, and leave the rest up to the universal energy. Trust natural healing power and universal wisdom. Improve yourself by appreciating every day and inviting joyful feelings. Lighting a candle in the darkness brings light into a room. If everyone does this, the room will be bright. Bringing joy into your life brings joy into the lives of others. If I am tense, I see the reflection of it in others. Remember to always smile when you are about to get into a fight! When I face an opponent, there is an opponent in me, I try to become one with the opponent – especially if it is a beautiful young lady! Finally, please trust your inner kami. Please believe you are kami, and live accordingly each day. Every day be thankful to your kami, and always keep smiling. Dit bericht is geplaatst in Teaching Maruyama Sensei. Bookmark de permalink.